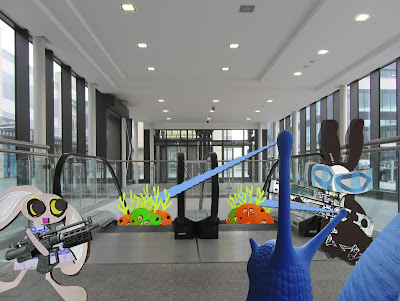 The gang fell back and while Snail recharged, the Wabbit and Lapinette lay in wait for the Skarrots at the top of the shopping centre escalator. 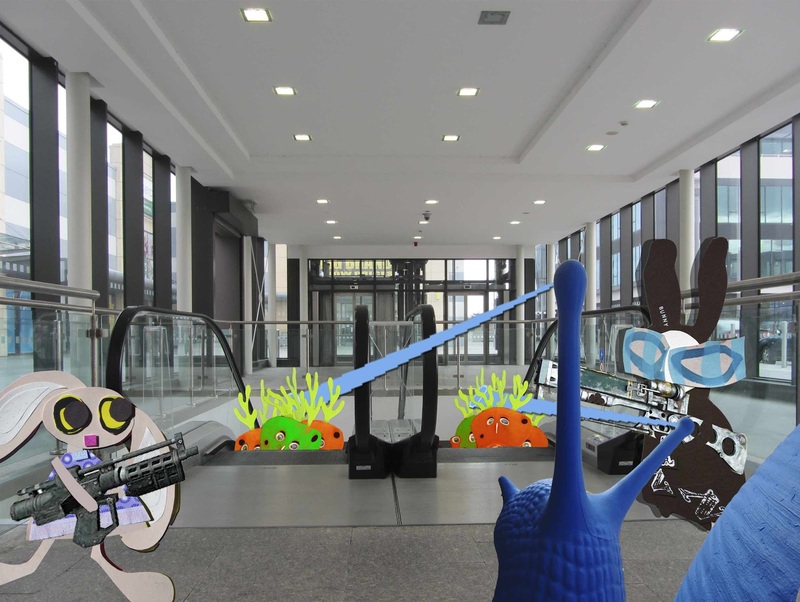 "Maybe they'll be dragged into the stairs," said the Wabbit. "Have you ever known that happen to anyone?" asked Lapinette. "Only once," said the Wabbit. "Who was that?" asked Lapinette. "Me," said the Wabbit and he fiddled with his Snazer gun. "Lucky escape?" asked Lapinette. "Nearly all escalator fatalities are repair technicians," said the Wabbit. "But I was dragged between the combs and it's not good for the fur." "What's it like in there?" asked Lapinette. "Mainly skeletons," smiled the Wabbit. "Look, here comes Snail!" said Lapinette. 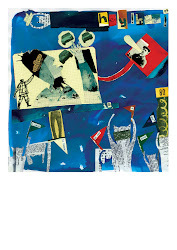 Snail was crawling under his load of blue slime laser supplies when he saw the Skarrots emerge from the escalator. "Let me at 'em, the little modified devils," cried Snail as he launched a full scale attack on the Skarrots. "He's not the usual Snail with a laser, is he?" said the Wabbit, leaning on his gun. Gradually, Skarrots turned green at the gills as Snail nailed them one by one. "An onion can make you cry, but carrots can't make you laugh," observed Lapinette wryly an she tucked her gun under her arm. "That's something a Wabbit can't run away from," said the Wabbit. "Are you going to do Cowboy quotes all day?" snorted Snail. "I never miss a good chance to shut up," said the Wabbit.